I’ve been writing a lot lately about bike commuting. Seriously, it has taken my quality of life up at least five notches. Sadly though, pretty much every pair of pants I own would beg to differ. I’m pretty hard on pants as it is – the inner thigh blowout struggle is real. Unfortunately all the movement involved in biking only speeds up the wearing-out process. End result: pants and shorts in my closet have a very short life expectancy. In my quest for clothes that will hold up and travel well, I came across Ministry of Supply. Their entire line of professional clothing is billed as movable, breathable, and wrinkle-free. Um, yes please. 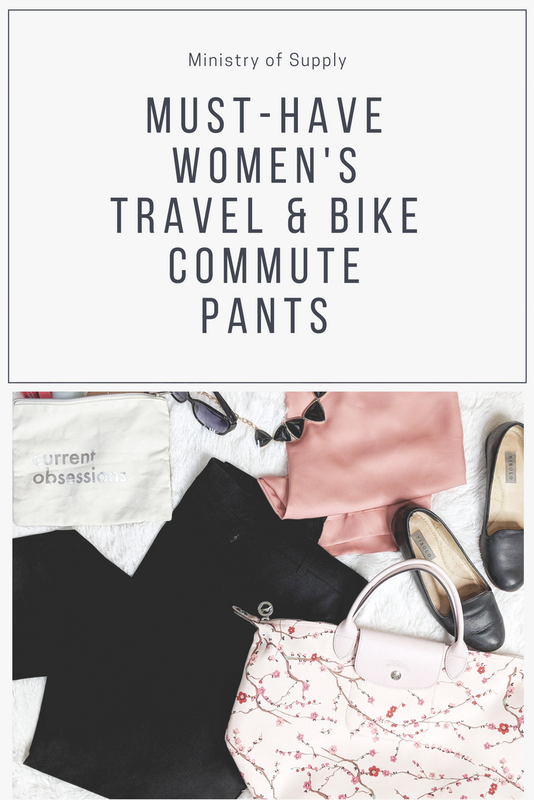 I partnered with them to put their Kinetic Pants to the test, and after about a month with them, I pronounce them the greatest travel and bike commute pants of all time. I picked the Kinetic Slim Pants ($145) to try out, since they’re right up my alley – mid-rise with clean lines. And I got them in black, of course, because could you imagine me in anything else? They’re also available in navy and grey, if black isn’t your thing. Most importantly, they actually look like dress pants, not like I’m about to go for a hike. They have flat front with a pretty standard closure – button, zipper and hook & bar. I was concerned about the slash pockets since those are the bane of every pear-shaped girl’s existence, but the zip closures on them lay nice and flat. The pockets are a fairly useful size too, though my Google Pixel 2 is a bit of a squeeze. Fit-wise I was really pleased when I put them on. Their size chart was accurate, though like all pants I had to make a couple alterations. They were definitely too long for my 5’2″ frame, and I ended up hemming them by around 3 inches. Fun fact: if you submit your receipts for hemming, they’ll give you equivalent store credit for your next purchase. I think that’s kind of a cool deal, even though I do my own alterations. The waist was also a tiny bit loose since I size up to fit my hips. I put a couple quick darts in the waistband to take it in by about 1.5 inches. The fabric of the pants is smooth and lightweight, and thankfully not itchy like some synthetics. The only word of caution I’ll throw out is it does make a noticeable swishy noise in quiet rooms – just something to be aware of if you don’t want to have a George Costanza moment. I don’t notice it outdoors or if there’s any sort of background noise though. I actually remember when Ministry of Supply was first getting off the ground. It all started out as a Kickstarter project about five or six years ago, but since their first products were men’s dress shirts, they sort of fell off my radar. Now that they’ve made it into the women’s wear realm, I was pretty excited to put my new pants to the test and see if they actually solved all the problems they set out to. 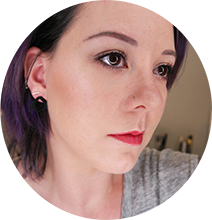 So before I started wearing them, I made a list of my most issues to see how they stood up. My day job involves sitting at a desk alllll day long, so waistbands that dig into my stomach are a huge pet peeve. 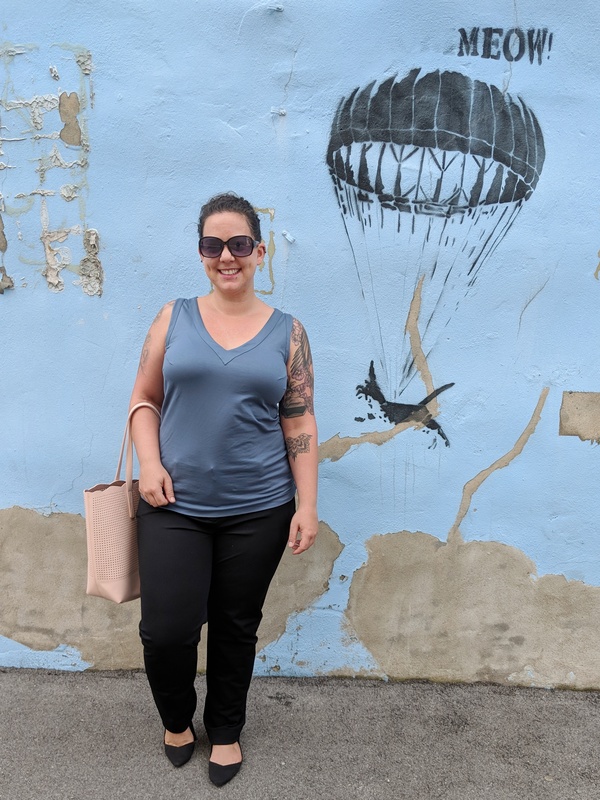 The Kinetic Slim pants aren’t quite pajama-like in the waist, but they do have a good amount of stretch so I never feel like anything’s digging into my skin. Countless pants fall victims to this every year, but I really think Ministry of Supply’s dress pants will avoid it! I usually see pilling and/or thinning after just a few wears, but these babies look brand-spankin’ new. And let me tell ya, I have not been going easy on them. I’ve worn them a few times a week since I got them, biking every day, and usually gone at least 3 wears between washes. Speaking of which…. Normally I’m a shorts-only kind of girl in the summer, because here in Lexington it’s usually 85+ degrees and something like 50-80% humidity. Not only do pants usually make me feel gross and sweaty in hot weather, damp pants contribute to saddle sores. Depending on the fabric sweaty pants kind of smell a little funky too. That’s way too much info, I know, but that’s what we’re dealing with here! I was honestly amazed at how breathable my MoS pants are, and how fast they dry. I’ve worn them in crazy hot weather, rain – you name it, they can handle it. Even if I wear them a few days in a row, they don’t feel or smell like they need a wash. Now if only they would make underwear with the same moisture-wicking properties my life would be complete. I’m very skeptical of ‘wrinkle-free’ claims when it comes to clothes because, well, most of them can and do wrinkle. Getting these pants to crease is quite the task though. I wadded them up and put them in my purse during my pilates class. I left them balled up at the bottom of a basket of clean laundry for two days. I threw them on the closet floor and left them there until the next time I was ready to wear them. A few wrinkles did appear, but fell out within 20 minutes or so of putting them on. I think there might be actual witchcraft involved. J/K, I know it’s some sort of textile science, but for my purposes it might as well be magic. You know that thing where your pants fit perfectly in the morning, but by the time you get home they look super frumpy because they sag in all the wrong places? Yeah, these don’t do that. As I do nearly every year, I’ll be headed out to Las Vegas this fall for a work conference. 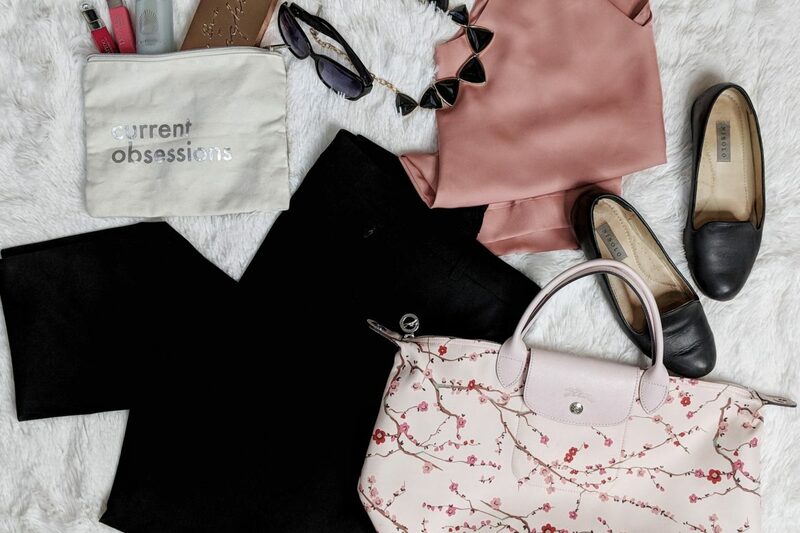 I’ll definitely be making my new MoS pants the centerpiece of my business capsule wardrobe. They’re comfy, cool, and refuse to be wrinkly. Better yet, everything in their product line is appropriate for business or casual settings. You can’t help but combine business & pleasure in Las Vegas, so clothes that can do double duty are so handy if you want to pack light. I’ve already ordered the Skinny pants along with one of their Easier Than Silk shirts to take with me. As always, I’ll be rounding out my wardrobe with a couple cardigans – those conference centers get cold – and my Rothy’s for a fun pop of color that can stand up to a gazillion miles of walking. In Short: I love these pants, and I want to own everything they make. Those pants look great on you! They seem to be a wise investment for those with a desk job. Those LOOK AWESOME!! And wow, so convenient for the commute! Those pants look GREAT on you! They sound pretty amazing too. Glad you found something that works for you new lifestyle!! I wish I worked close enough to bike! Love that Longchamp too! I think I want to own everything they make also, you look so chic in those pants girl! Whoa! That’s so cool! I love that they look like regular stylish pants– I’ve seen other “day wear” for bikes that look like slacks with a padded lycra crotch, so these look leaps and bounds better! Those pants look great on you! So chic!